Chad: Shinobi. Wonder Boy. Alex Kidd. John (Site owner): The Wonder Boy remake was great. Looking forward to Monster Boy next month. Chad: I’m out of touch....there is a remake? I knew there was SOR4. John: Yeah it came out almost a year ago. The same people that did Wonder Boy and Monster Boy are doing Streets of Rage 4. John: There are two for me. Golden Axe and a proper Phantasy Star game. Not PSO, Phantasy Star. Jonathan: Bloodrayne and Legacy of Kain need a remaster/reboot. Would be great to see those stories with todays graphics. Nathan: Legacy of Kain because the same games with improved graphics would be spectacular imo. Ryan: FEY VICTUS! I remember the first game in this series and how it went completely different for Soul Reaver. 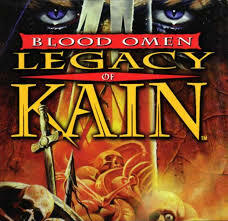 When looking for box art I came across two things: the game had an entry on PS2 I never heard of, and there was an article titled “10 cancelled Legacy of Kain games.” I reckon it’s been attempted. The first is E.V.O. : the Quest for Evolution. 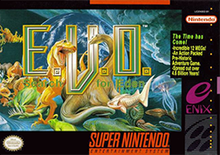 It was a snes action platformer where you could over the course of a game evolve, one part at a time, until you could be a human or something completely different. Ryan (me! ): I agree on BB, specifically 1. They changed 2 for the worse. There was some spiritual successor but I don’t remember what it was. A quick google shows many attempts. Kengo, For Honor, Reality Blade, Hatashiai. I found this pic, so I assume that Derick meant E.V.O. : Quest for Eden…unless there was a sequel! Travis: Baldur's gate. Because it's a game that will change the story depending on which character and/or characters you choose. The stories were fantastic. And then a 3rd can finally be made. I think Blizzard owns the rights. Ryan: Travis and I used to play the Dark Alliance games back in the day, so I assume we are discussing them. Such annoying cliffhangers we never saw the end to! There you have it! Developers/license holders, if you’re reading this, get cracking! If you want to get in on next week’s Community Question, click on over to our Facebook page and get to be part of the conversation!